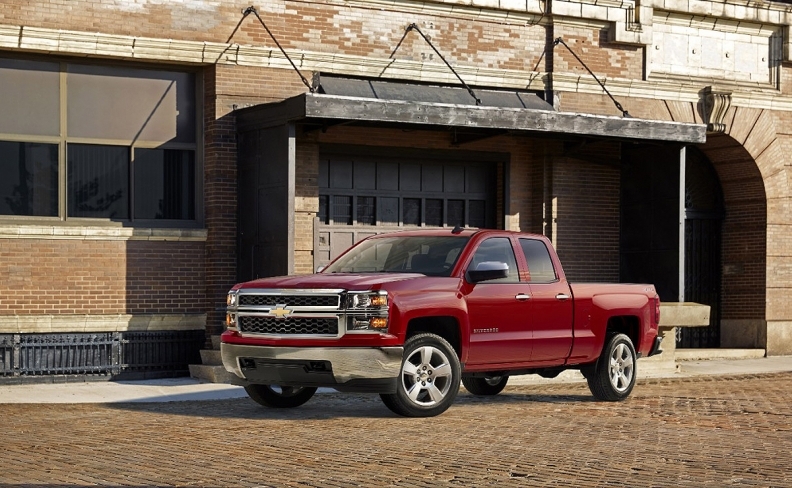 The recall campaign covers 450,711 Chevrolet Silverados from the 2015 model year. DETROIT -- General Motors is recalling more than 1.2 million full-size pickups and SUVs globally because of a potential steering problem that could increase the risk of a crash. The automaker says the electric power steering on the affected vehicles can fail momentarily during a drop in voltage and suddenly return, mainly during low-speed maneuvers such as turning. If electric power steering assist is lost and then suddenly returns, the driver may have difficulty steering the vehicle, according to GM. All affected vehicles are from the 2015 model year. In the U.S., which represents more than 1 million of the affected vehicles, the recall campaign includes: Chevrolet Silverado (450,711) and GMC Sierra 1500 (186,083) pickups and Chevy Tahoe (145,198), Chevy Suburban (79,505), Cadillac Escalade and Escalade ESV (45,270) and GMC Yukon and Yukon XL (109,151) SUVs. Nearly 96,000 potentially defective vehicles were sold in Canada. GM, according to company spokesman Tom Wilkinson, is aware of 30 accidents resulting in two injuries because of the defect. No deaths have been reported, he said. The automaker recalled some 2014 model trucks last year for the same problem, including 800,000 Chevy and GMC full-size pickups. The full-size SUVs were not recalled, as the problem was not reportedly occurring in those models, according to Wilkinson. If power steering assist is lost, a driver information centre message may alert the driver to an electric power steering problem. Also, other electrical subsystems may shut down at the same time or just before the event, which could temporarily disable the radio, Stabilitrack stability control system, driver information centre, chimes, door-lock cycling, air conditioning or cruise control. GM will notify owners of the affected vehicles and dealers will update the electric power steering module software for free. No date has been set for the recall to begin but Wilkinson said dealers have the updated software packages to fix the problem. He encouraged customers to call their dealers to schedule an appointment.